Has the Midwest weather already wreaked havoc on your child's immune system? Has sleep deprivation already sunk in before a single exam has been taken? Have you been resisting the urge to whip up a homemade soup and driving to Champaign to hand-deliver it yourself? 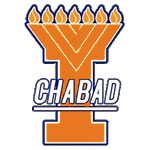 If you answered yes to any of these questions, then Illini Chabad is here for you! your son or daughter from afar! Getting homemade kosher soup delivered straight to their dorm room or off-campus apartment is now a few clicks away. Simply fill out this form and we will take care of the rest! Send them soup now and before you know it, they will be home. Please review all of your entries carefully. Once you've done so, click the 'Submit' button once.